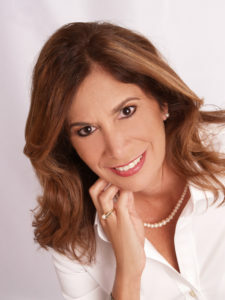 Sue Scheff is a nationally-recognized author, speaker, parent advocate and internet safety expert. She is the founder of Parents’ Universal Resource Experts, Inc., an informational resource for parents struggling with challenging teenagers. In her first book, Wit’s End! Advice and Resources for Saving Your Out-of-Control Teen (HCI, 2008), Scheff recounted her difficulties with her own daughter, as well as offered prescriptive advice for parents in similar situations. After being victimized online and cyber-stalked due to her advocacy work with troubled teens, Scheff won a 2006 landmark case for internet defamation and invasion of privacy. Her book, Google Bomb! How the $11.3M Verdict Changed the Way We Use the Internet (HCI, 2009), co-authored by the late John Dozier, one of the country’s leading Internet attorneys, documents that legal battle while also offering prescriptive advice. Since then, her name and voice have become synonymous with helping others who have been victims of online abuse as well as educating people of all ages about the importance of good digital citizenship and protecting their online reputation. Today she is a much sought after expert who has been featured on major media outlets including GMA, CBS This Morning, ABC News, 20/20, The Rachel Ray Show, Dr. Phil, CNN, Anderson Cooper, CBS Nightly News, Lifetime, Fox News, CBC, BBC, Dr. Drew HLN, CNN Headline News, InSession Court TV, and noted major publications such as USA Today, AARP, Parenting Magazine, The Wall Street Journal, Washington Post, Miami Herald, Forbes, Sun-Sentinel, Asian Tribune, San Francisco Chronicle, LA Times, and many more. 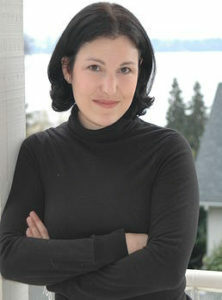 Melissa Schorr is a widely published journalist, author of the YA novels Identity Crisis (Merit Press, 2016) and Goy Crazy (Hyperion, 2006), and a contributor to the anthology Dear Bully (Harper Teen 2011). Currently a contributing editor at the Boston Globe Sunday Magazine, Schorr has served as a stringer for People Magazine, a columnist for The Las Vegas Sun, a staff features reporter for the Oakland Tribune, and a health writer for ABCNews.com. Her work has also appeared in more than 20 publications, including Glamour, Self, Allure, Marie Claire, Bride’s, Baby Talk, Working Mother, In Style, Esquire, San Francisco, National Geographic Traveler, Wired magazine, as well as newspapers such as the Chicago Tribune, The Wall Street Journal and the San Jose Mercury News, The New York Times‘ Motherlode blog, and websites including ReutersHealth and WebMD. Schorr has a B.A. in Journalism from Northwestern University’s Medill School of Journalism and currently lives outside Boston, MA with her husband, two daughters, and their dog, Bailey. Find her on the web at: http://www.melissaschorr.com/. Monica’s lens for these societal issues is focused by her myriad unique and profound experiences: working in government — both in the White House and the Pentagon; the investigation that resulted from her time in Washington, D.C.; involvement in media projects as both producer and subject; as an entrepreneur and designer; and lastly, education. She graduated with a degree in Psychology from Lewis & Clark College (Portland, Oregon) and, living abroad for graduate school, earned a Master’s degree in Social Psychology from the London School of Economics and Political Science. Lewinsky became known to the public in 1998, when it was revealed as part of a federal investigation that she had had an intimate relationship with then President Bill Clinton. Overnight, at just 24 years old, she went unwillingly, from being an entirely private individual to a public figure on the global stage. In 2014, Lewinsky authored an essay, titled “Shame and Survival”, for Vanity Fair in which she overlapped personal experiences and cultural observations (June, 2014). The piece was nominated for a National Magazine Award. In March, 2015, she was a speaker at the annual TED Conference in Vancouver. Her speech, “The Price of Shame” has been viewed over 10 million times. She has also spoken at the Forbes 30 Under 30 Summit and gave the Ogilvy + Inspire Lecture at Cannes Lions. Working with global telecommunications company, Vodafone, in 2016, Monica conceived and helped to create a suite of Anti- Bullying Emojis for Support. The #BeStrong emojis, which are a free download, make it easier to show support to targets of bullying when words sometimes fail us – especially teens. Today Monica works with several anti-bullying organizations, including as an Ambassador to both the Diana Award’s Anti-Bullying Programme in the UK and Bystander Revolution in the US. She also supports Project Rockit, Ditch the Label, HeartMob, the Amanda Todd Legacy and The Tyler Clementi Foundation. Monica sits on the board of the Childhood Resilience Foundation. She advocates for people to #ClickWithCompassion. She is on both Facebook and Twitter (@MonicaLewinsky). Order Shame Nation today on Barnes & Noble, Books A Million, Amazon or Indie Books. Also available on Blackstone Audio.